So after Monday’s training post about how awesome training was going, the shoe that I had been waiting for dropped. I think the saying is actually waiting for the other shoe to drop, but I digress. That cold/ allergies / not sure what it was hit me like a truck on Monday. I went to the Target clinic after work and told it was just a cold, but my ears looked infected so thankfully I was given an antibiotic. I was coughing and hacking all through the night. Tuesday morning I woke up with my left eye covered in goo (not Gu unfortunately.) Pink eye. I’m 35 years old, why am I getting pink eye? Oh yeah, I have a preschooler in the house. Charlotte had pink eye two weeks prior and she had some eye drops left over so took those, took my other meds, and snuggled in bed all day and watched the entire season of Girls. Sorry Target clinic, but this was more than a cold, if you hadn’t given me antibiotics, I’d probably still be dying today. Since I feel like I’ve finally kicked this sickness in the bootay, I’m linking up for the Friday Five! Since it’s Good Friday and all, the theme is GOOD THINGS! I like this – especially after the week I’ve had. Courtney, Mar, and Cynthia, couldn’t have planned a better theme. Needless to say, I haven’t been working out or running all week. The week I’m supposed to run 13 miles I’m stricken with illness. <shakes fist in the air>. My cough did subside enough that I felt I could get up and run a little this morning, so I did. I was going to go to the gym, because that’s what I’ve been doing every weekday morning since December. So imagine my surprise when I go outside and it’s 60 freakin’ 4 degrees outside at 5 AM (Good thing #1). I ran upstairs and grabbed my Garmin and went to town. And it hurt. 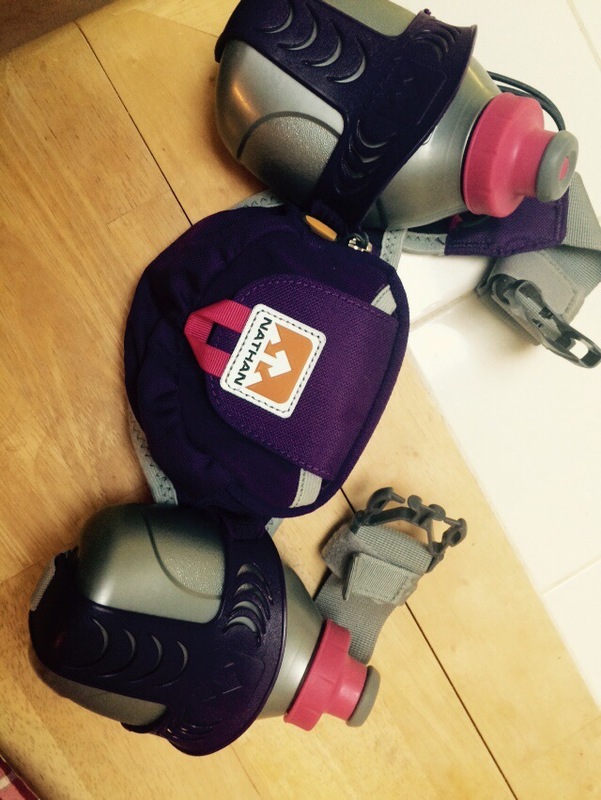 I have been doing my long runs on the flatish trail, so my hilly neighborhood was a shock. You know what else was a shock? Running in warm weather. 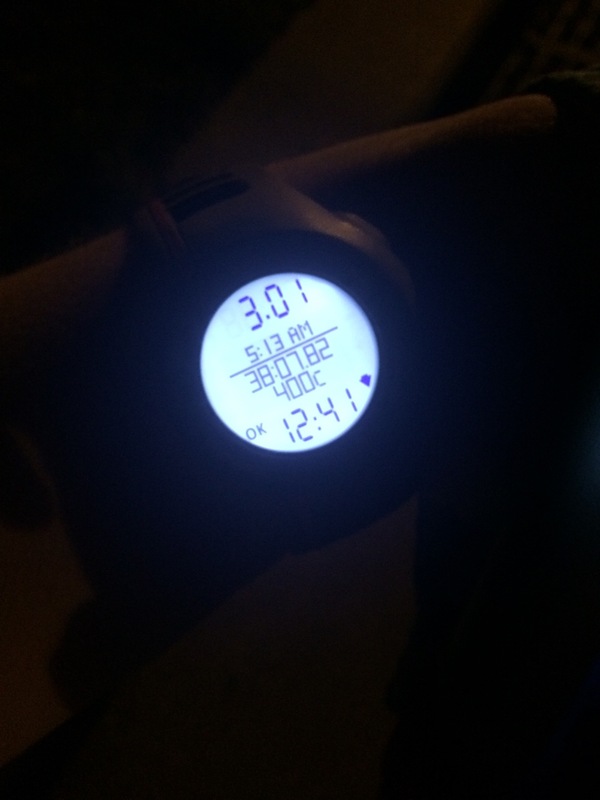 Those out door trail runs were all in temps in the thirties or below. I ended up taking my handheld water bottle just in case. Despite not having run these hills in a while and the multitude of walk breaks it wasn’t a terrible run. 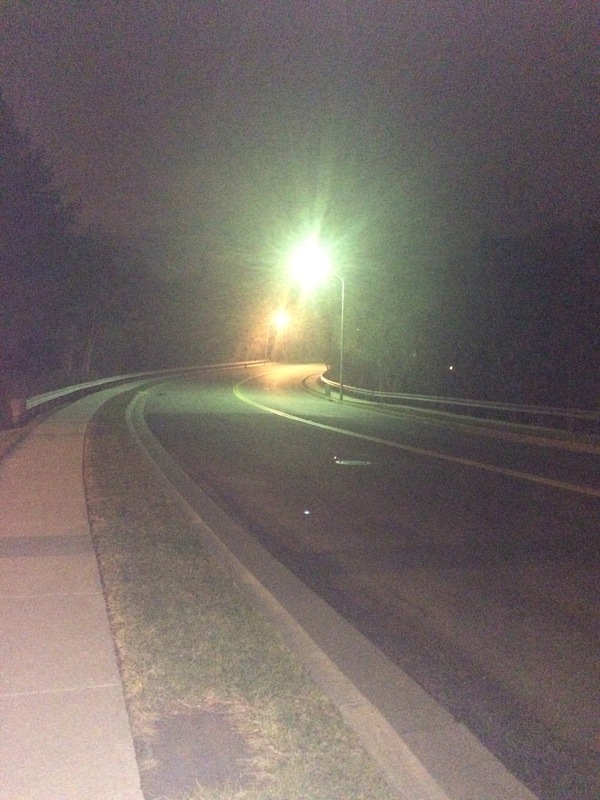 Good Thing #2 – Spring Break has started in area schools so that means…no traffic today!! Woo Hoo! 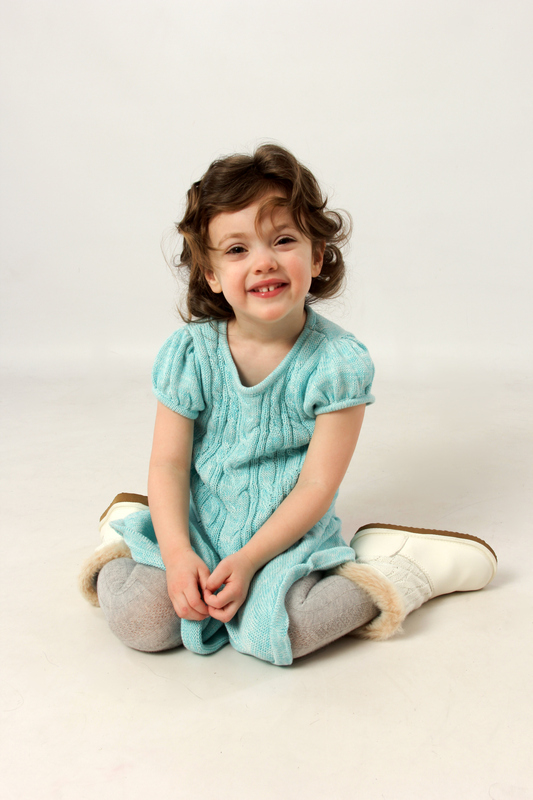 Good Thing #3 – Last week JessRunsHappy posted on her blog about Lia Sophia going out of business. I went on their site and they had so many cute things at such great prices that I couldnt resist! I updated my jewelry wardrobe a bit and it all came in the mail on Wednesday. 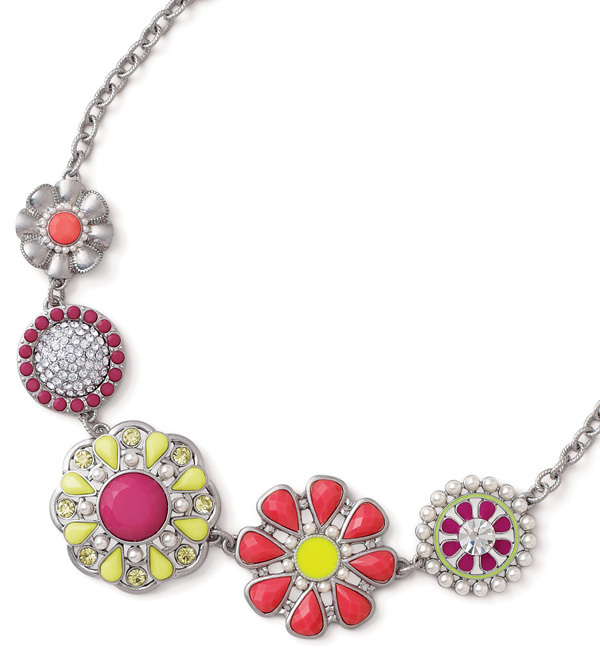 Went a little outside my comfort zone with this one, but it’s really cute and springy! Good Thing #4 – Girls – I love that show, and the best part of this season (spoiler alert) Hannah didn’t end up with Adam at the end. Good Thing #5 – Passover starts tonight. Two nights of family dinners loaded with carbs, brisket, Matzo Ball Soup, and laughs. So there it is! Five Good Things! After this weeks’ illness I wasn’t sure I’d have it in me to come up with something good. Maybe that’s what this morning’s run was for, to get me back on track. Now I just have to decide if I should take it easy this weekend and go for 13 next weekend or try and go for it and see what happens. Decisions Decisions. 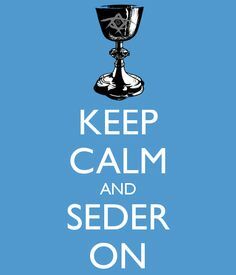 Happy Easter to all of you celebrating and Happy Passover to those of you celebrating! Hope you have a wonderful weekend! I think spring is here!!!! What are weekend plans? Would you go for the full 13 after having been sick all week? Friday Five – The One Where We Talk About FOOD! I’m always so chipper on Fridays even though I usually don’t have anything too exciting lined up. 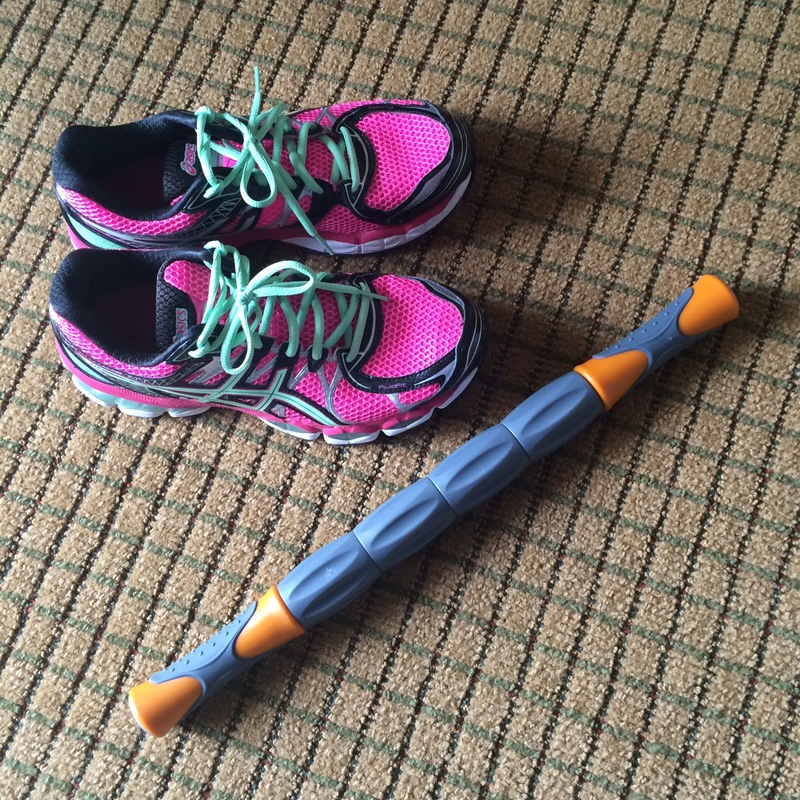 I’m usually staring down the barrel of a long run and this weekend it will be 11. Outside. Somewhere. I haven’t decided if I want to do it on the trail or on the hills. I haven’t been running outside all that much except for the past few long runs, so the hills could hurt. But I want some variety!! I’ll probably hit the trail though, I don’t want to hurt myself. I’ve got all year to run the hilly routes. 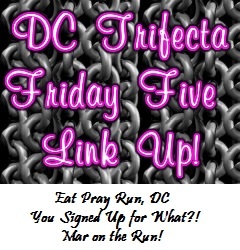 After my hiatus last week, I’m back to linking up with the DC Trifecta, Courtney, Mar, and Cynthia, for the Friday Five. 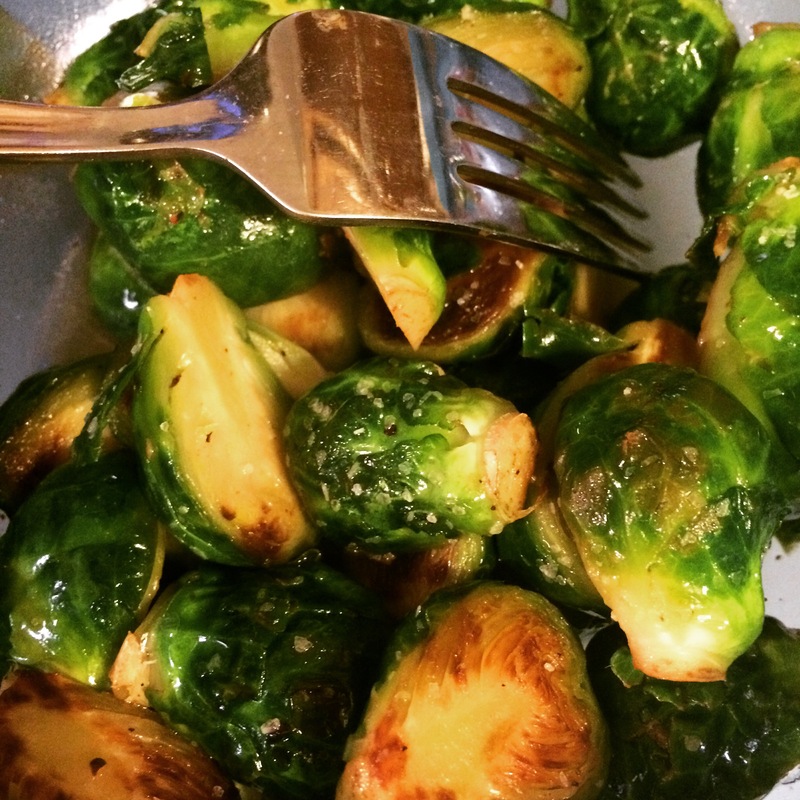 This weeks Friday Five is all about favorite spring foods. I thought this would be hard…what special foods are around in the spring? Then once I got started, they just kept coming. None of them are all that healthy, but the produce doesn’t really flourish until the summer. 1. Easter Candy – I think Easter has the best candy of any holiday. 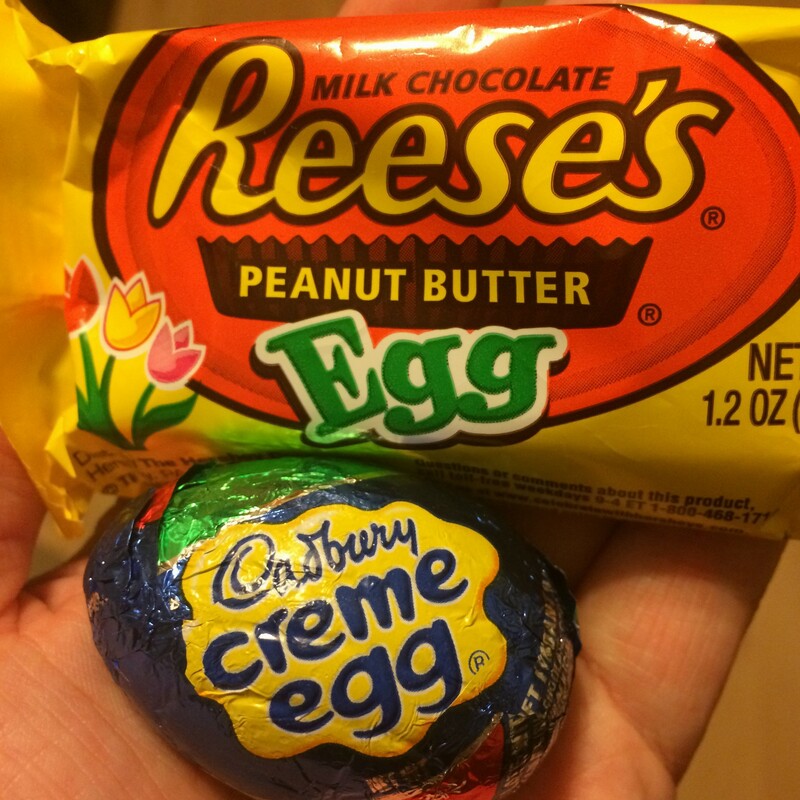 My favorites being Cadbury Eggs and Reese’s Eggs. I also love me some jelly beans, Peeps, Robins Eggs…I love it all. 2. 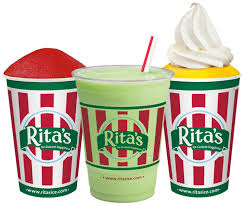 Rita’s Italian Ice – Rita’s opens on the first day of spring and I am usually lying in wait. Everything on their menu is fantastic, from the simple ice to their Blendinis. They offer so many fantastic flavors one of my faves is Swedish Fish. Rita’s also has the most delicious custard. When I’m feeling really indulgent, I’ll get a gelati, which is an ice with custard on the bottom and the top. I love Ritas! 3. Matzo Ball Soup – Passover occurs sometime in the spring, usually around the same time as Easter. One of my favorite things about the major Jewish holidays is making matzoh ball soup. Making chicken soup isn’t hard, I could do that at anytime, but there is just something about making a huge pot of soup to contribute to a family / holiday meal. We make our matzo balls using a mix and we use olive oil which just makes them taste soooo good. We’ve had our meal catered before and the matzo balls were flavorless. So I have no problem making them so I can guarantee they taste right. 4. Margaritas – It’s not quite Cinco de Mayo, but spring means it’s time to drink something refreshing. Behold the margarita. I prefer mine on ice and huge. 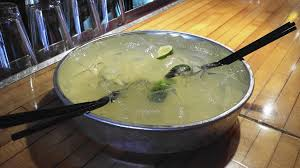 The Hubcap Margarita from Nacho Mama’s in Baltimore. 5. Matzo Brickle – This is another Passover treat. You basically take some brown sugar and butter and melt it down on the stove to make toffee. Then pour it over sheets of matzo that are laid out on a sheet pan. You then pop the sheet pan in the oven for a few minutes until the toffee is bubbly. When you take the sheet pan out of the oven, then you sprinkle chocolate chips on top. The chocolate chips will melt and then you spread the chocolate all over the top. Stick it in the fridge to harden and that’s it! You could sprinkle coconut or some other toppings like nuts on top of the chocolate if you want too. It’s just as delicious plain. I’ve seen this made with saltine crackers too, so you don’t need to have matzo. 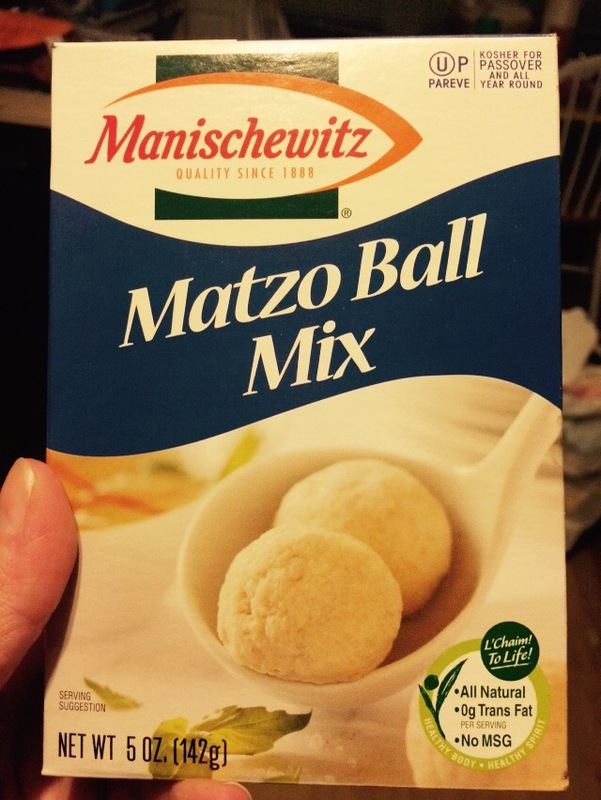 Here is a recipe I found for you that calls it Matzo Crack. A very fitting name. Whenever someone brings this, it’s gone very quickly. So those are my favorite springtime foods, or at least foods I look forward to enjoying after the long cold winter. I’m not eating them nonstop – all in moderation. For the most part, they are holiday related, so I’m only indulging to be festive! I can’t wait to read what everyone else is eating this spring! Cadbury eggs can be divisive – do you love ’em or hate ’em? Is there a traditional food that is at your spring holiday table? (you know, the one food that if it’s missing causes a huge uproar even if there are a million other foods available?) Anything on your training plan for the weekend? I’ve never been so happy to see a Friday in a long time. First, it’s so freakin’ cold outside. I don’t even want to leave my bed. Second, I’ve had a busy week at work which involved a out of town stay Tuesday night and two very long days on Wednesday and Thursday. That can only mean a lot of catch up today. Next week is going to be a lot of the same – except it will be in Cleveland, which is much much colder. I fly out Monday, long days on Tuesday & Wednesday, and fly home Thursday. It’s Friday again and that means another link up with the DC Trifecta, Courtney, Mar, and Cynthia. Today’s Friday Five is Races to Run in 2015. I’ve got 9 on my calendar for this year already (I’m an early registerer). So I’m going to focus on 5 races that will be new to me this year. 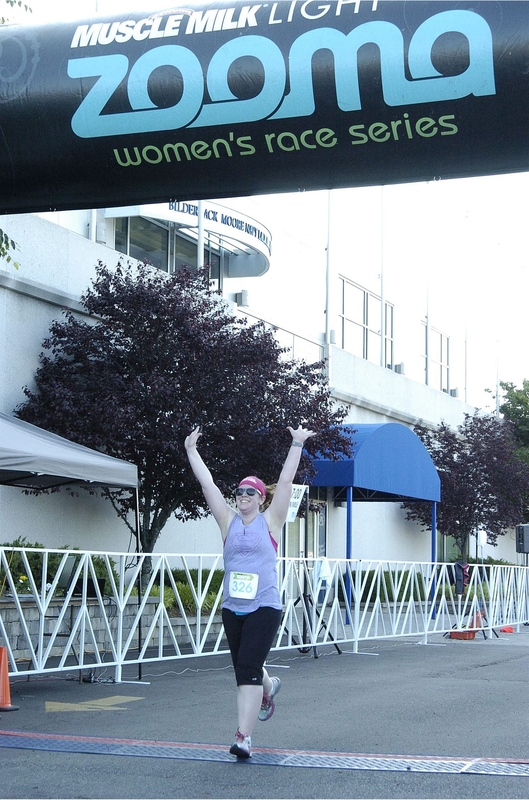 I was so excited to win an entry into the Rock n Roll DC race. I could have actually picked any distance for free. Marathon? Nope…not for me. Half Marathon? Nope…not enough time to train. 5K? That sounds juuuusssst right. I’ve been wanting to do a Rock N Roll race since I started running last year, so I’m excited to get a taste of it next month. Plus, I even get a medal! This is the second race of the Charm City Run B3 Challenge. I wanted to do this last year because the premium was bananas. Not actually bananas, just really awesome. But alas, I wasn’t quite there yet. This year I am totally there! The course is a nice run through downtown Baltimore, and relatively flat, so I’m hoping for a 10K PR. I’ve been talking about this one for a while and will continue doing so since it is my main training focus this spring. It’s my hometown half marathon. They have a 5K and a kids race the night before the half. Last year, the 5K was my first timed race and I did the Kids Fun Run with Charlotte. Frederick has a really cute downtown and I’m really excited to run through the city I grew up in. This is affectionately called the Chuck 12 and this year will be it’s 3rd year. It’s the 3rd race in the B3 Challenge and at the end I collect both my Chuck12 Medal and a B3 Medal. 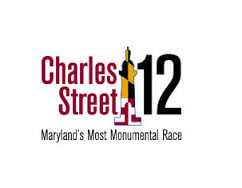 It starts north of the city in Towson and the race course takes you down Charles Street all the way down to the harbor. While there are a few hills in the beginning, the elevation drops for the majority of the course as you head downtown. It will be an interesting and beautiful course to run. 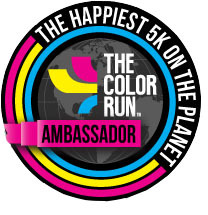 I haven’t registered for this yet, but if I can make it work this year, I will. 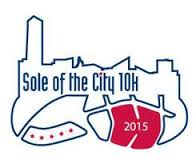 This race takes place in early December in Cleveland (the only strike against it!) 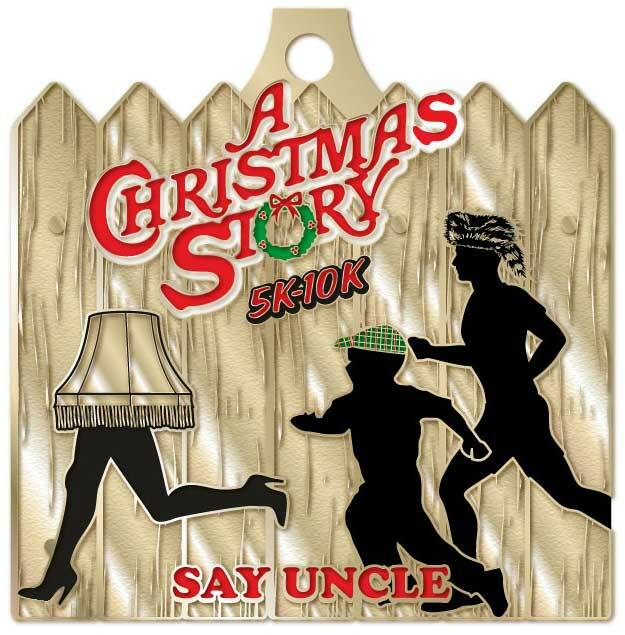 It’s a 5K & 10K race that starts in Public Square, runs to the Christmas Story House and Museum and back (if you do the 10K) the 5Kers get a shuttle back to Public Square. People apparently dress up like pink bunnies, Red Ryder, the robbers from Ralphie’s dream, wear coonskin hats like Scott Farkus. 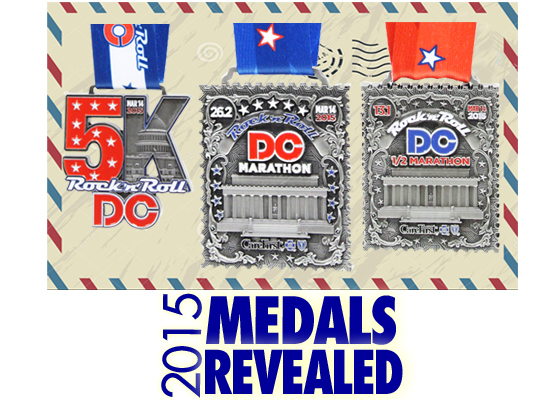 All runners get a fun medal too. They have a virtual option, so I may try to get a group together and do it here in MD. So those are my five. I’m looking forward to all of them and God willing, they will all be awesome races with great recaps to share. I’m looking forward to a warmer weekend and a little bit of snow to play in tomorrow. Stay warm out there friends! So what are your five? Are you looking forward to any one race this year? 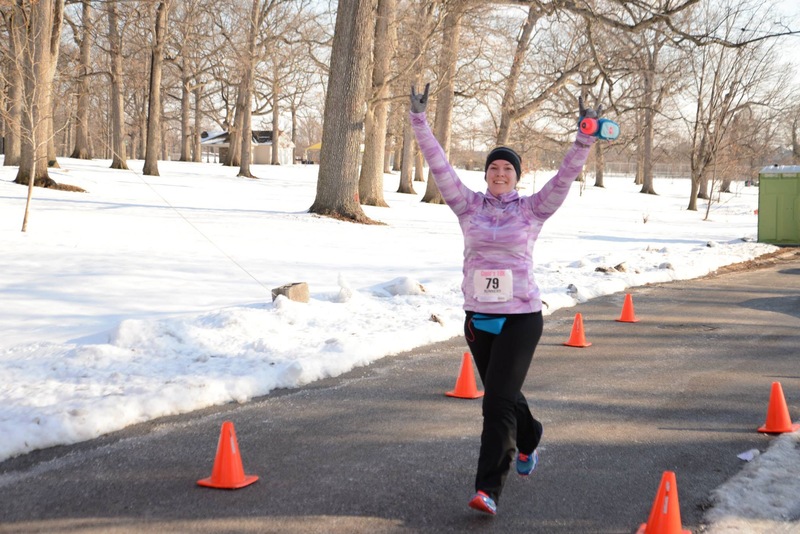 Are you doing any race just for fun? 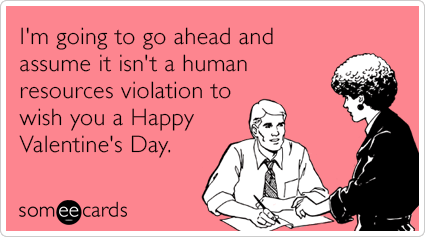 Happy almost Valentine’s Day! We don’t do much with the holiday these days other than exchange cards and eat a few candies. 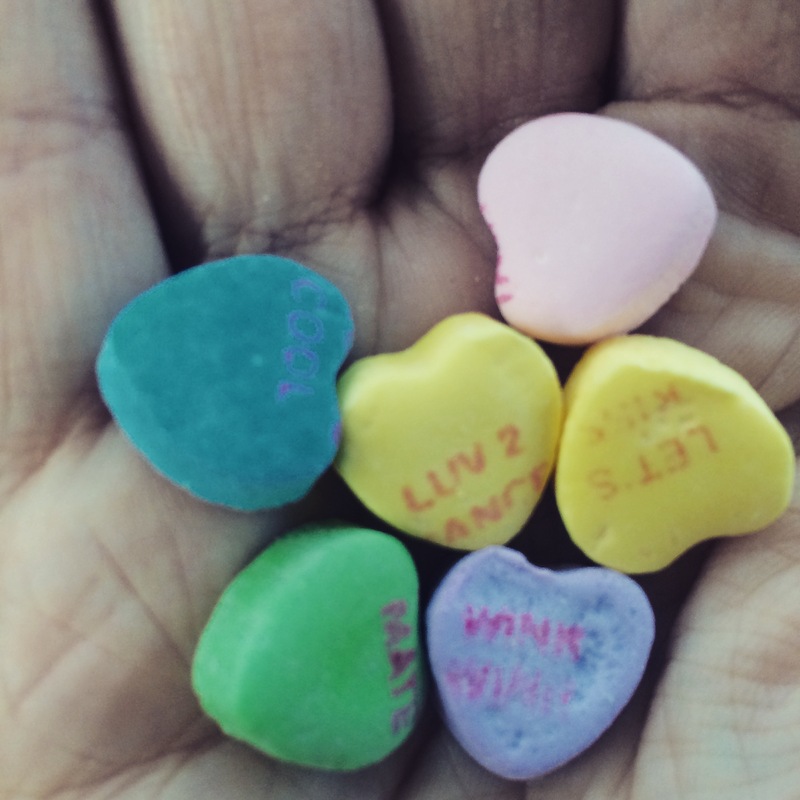 How can I resist a conversation heart? How? Being that tomorrow is Valentine’s Day, Mar from Mar On the Run, Courtney from Eat Pray Run, DC, and Cynthia from You Signed Up for What?! have made this week’s theme all about “Love”. I could have taken this so many places, but I kept it simple. I’m going to list a few things that I love. 2. 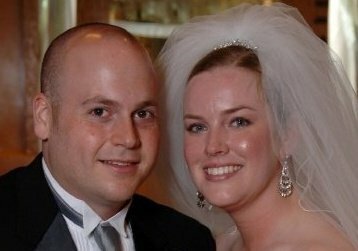 This guy – we’ve been married for going on 9 years, and have been together for 12. It hasn’t always been easy, but I can’t imagine doing this with anyone else. He’s the peas to my carrots, the flip to my flop, and knows how to make me laugh. 3. 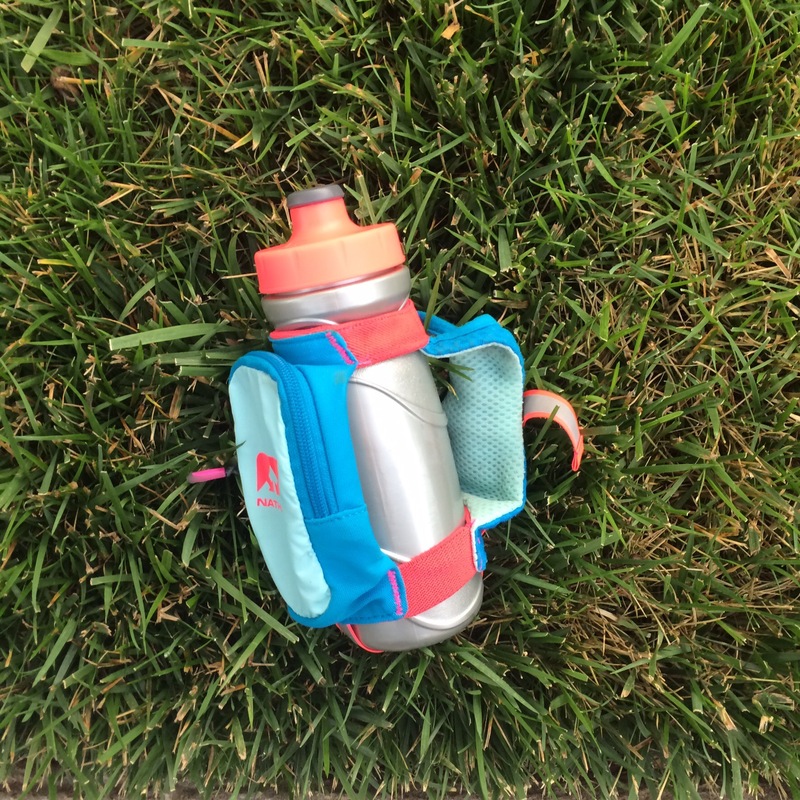 Running – Why did I wait so long? So many things to say about running, but what could I say that I haven’t said before? I love being a runner! 4. Cooking – I love to eat. I also like creating delicious food. One thing I think I like about cooking, is that by cooking a meal for my family or friends, it’s a way of providing and nourishing…something a physical gift just can’t do. Plus, if I’m cooking, I know what I’m putting in my body…like these little beauties I made the other night. 5. Working – I work in human resources, and while it may sound strange, I love working and I actually kinda love my job. Every job or company is going to have those things that annoy and bother you, and I have had lots of those. But…I also have a lot of work / life balance and autonomy with my day to day projects. I get to be creative in my job, not in an artsy way, but in a problem solving way. Plus I work with a great group of people. I hope that your Valentine’s Day (and every day for that matter) is filled with love and happiness. What do you love? Have any “sweet” plans for this weekend?